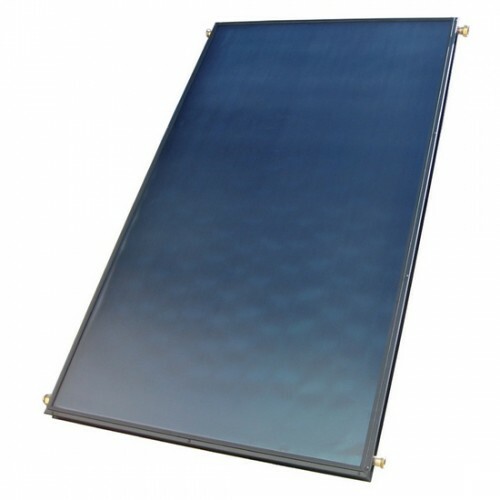 Heliodyne's GOBI solar collectors are proven to be among the industry's highest-performing. They also prove to be the most durable. This combination guarantees you many years of optimal performance. The quality and design put into every component ensures a sturdy collector that maximizes energy conversion from the sun. As a result, these collectors work exceptionally well, even in geographic regions with limited sunshine. Besides outstanding functionality, GOBI collectors are designed to be aesthetically pleasing, combining a sleek profile with a dark bronze frame. The new GOBI has undergone a complete transformation for 2011 making it the industry's best flat plate collector. By redesigning the frame and incorporating state of the art components, the GOBI has a reduced profile and even better performance. With 3 sizes and 2 absorber surface types to choose from, there is a GOBI collector for every type of solar water heating application. Thinnest Profile – The redesigned frame is easier to handle for installers and offers the end user a streamlined, sleek look on their roof compared to bulky traditional flat plate collectors. Top 10 Performer – New SRCC ratings certify that the GOBI now ranks among the 10 best OG-100 collectors. The high energy output of the GOBI offers maximum performance out of the solar hot water system. Easiest to Install – The GOBI retains its unique Dyn-O-Seal (DOS) union interconnection method. DOS unions come factory assembled and eliminate the time consuming task of soldering each collector together in an array.